Listing 09902920 has been removed. Contact us for additional information. 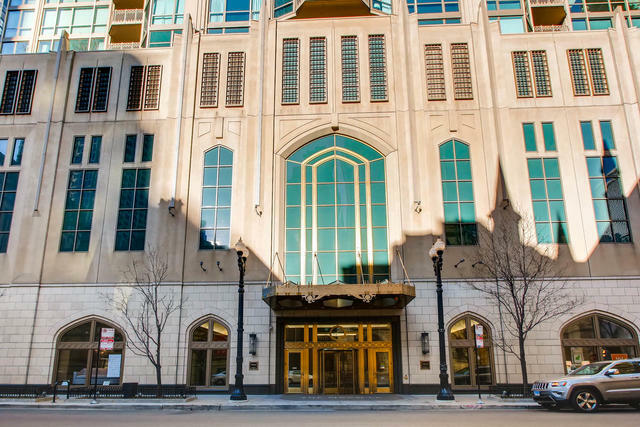 The Pinnacle: rare large corner unit in one of River North's most iconic buildings. Split 2BR/2BA floor plan features floor to ceiling windows with North & East views, with an open concept perfect for entertaining. Luxury features include large balcony with stunning views, granite counters, beautiful fireplace, mahogany cabinets, stainless steel appliances and hardwood floors throughout. Master bedroom features marble bathroom with double-sinks, separate shower and jetted tub, and large walk-in closet. In-unit laundry. Building amenities include doorman, exercise room, spa, pool, sun deck, dog run, & theater. Storage space included; parking additional $55k. Property information last modified by seller on Tuesday, April 03, 2018, 05:58 PM CDT. Information Deemed Reliable But Not Guaranteed. Unauthorized duplication, use, or linkage is prohibited. The information on this web site is for personal, non-commercial use and may not be used for any purpose other than to identify prospective properties consumers may be interested in purchasing. Monthly Payment Calculator results are for illustrative purposes only, not a financing opportunity; calculations assume a 30-year fixed-rate mortgage and do not include closing and other costs. Property Tax on NEW properties is estimated at 1.5% of Listing Price for payment calculation purposes; actual value may be higher or lower.